Mrs. Swaleha Mohamedali, an accomplished teacher, educationist, and special educator is the founder and Head of Department of Tanzania one of a kind Special Education Needs unit at the Jaffery Academy, Arusha. Her career dates back to 32 years ago, and is responsible for a few of the countrys significant footprints in the education sector. She has campaigned and pushed for inclusive education, oral national examinations and job employment for the young adults with disabilitiy, something very novice in Tanzania. 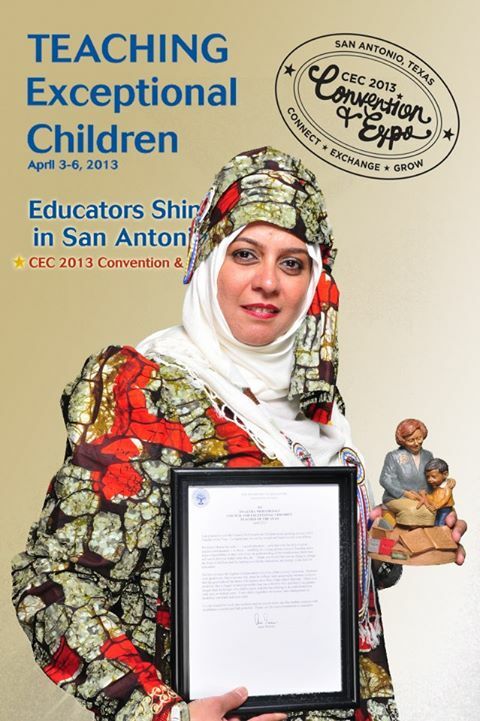 However, her work does not end there, she single handedly crafts teacher training workshops with a special highlight on special education needs, worked on a policy for integrated approaches and child protection policy..
Due to her diligence and commitment towards her vision, she received Coucil for Exceptional Children (CEC) International Teacher of the Year Award in 2013, in Austin, Texas. Her current work involves creating a 99% job employment rate for children with special needs. She is the Tanzanian National Chair of the International Association of Special Education (www.iase.org) and an organizer for Special Olympics Tanzania (SOT) Arusha team.